In order for you to relax, unwind and enjoy your spa experience, please read our helpful tips to gain the most from your visit. To avoid any disappointment we strongly advise that you book all treatments in advance. In order for you to get the most out of your experience please arrive at least 10 minutes prior to your treatment to complete a consultation form and enjoy a welcome drink. For treatments that include use of the spa facilities we would recommend arriving at least 45 minutes prior to your treatment to familiarise yourself with the spa surroundings. We operate a 24 hour cancellation policy to avoid a 100% charge or redemption of your gift certificate. Full payment will be taken at the time of booking. Treat a loved one to an Abbey Spa gift certificate. Al certificates must be used within 12 months of purchase. Please note gift certificates are non-transferable and non-refundable. Please notify our spa therapists if you have any special medical conditions, allergies or if you are pregnant. We do not recommend any treatments are carried out during the first trimester of your pregnancy. We may require a doctors note or for you to complete a client disclaimer form for us to perform certain treatments where medical conditions are concerned. We want you to feel comfortable during your spa experience therefore we will provide you with towels, robes, and slippers. Our therapists are trained to observe client modesty at all times, disposable briefs and boxers are available during a treatment. Appropriate swim attire must be worn during the use of the heat and water area. 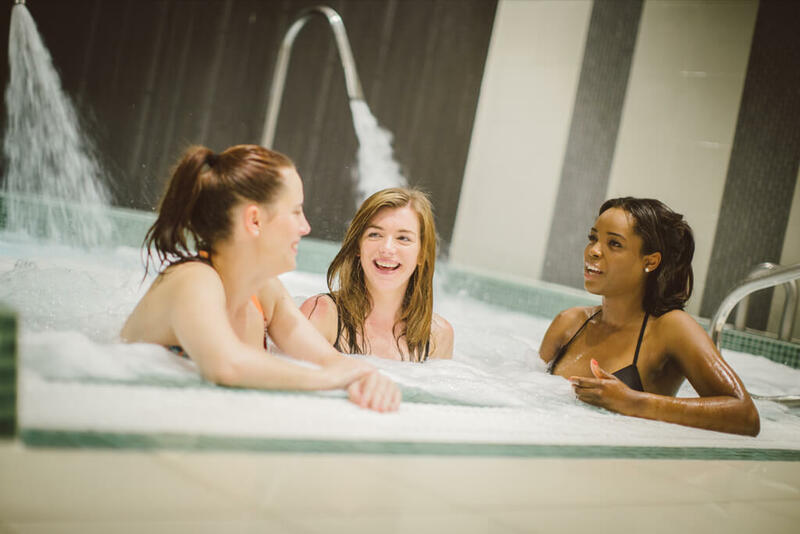 We strongly advise no jewellery to be worn at any time while relaxing within the spa. We will not be held accountable for any loss or damage to jewellery or possessions. Lockers are provided to secure your belongings. We would also recommend that no alcohol is consumed prior to your treatment or spa use. Water will be provided within the spa area. We want your spa experience to be as tranquil as possible, therefore we ask that no mobile phones be used within the spa area. The minimum age for access tot he spa is 16. Beauty treatments will be available for those over 14 but must be accompanied by an adult at all times. Soothing and relaxing Spa settings to escape from the world.